Fees would also be waived on conditional use and business operations permits for eligible groups. That includes longtime residents of zip codes impacted by marijuana-related arrests, people living 200 percent below the federal poverty line, plus women or veteran-owned businesses. The city will dedicate $1 million to fund a CORE pilot for two years, likely from business operations taxes. Councilmember Jay Schenirer said that while it’s impossible to undo damage done to some communities by the war on drugs, “looking at what we need to do today to make sure all of our communities thrive is really a priority." Councilmember Jeff Harris, while supporting the measure, warned potential program candidates that it’s not geared toward capitalizing small businesses — and those without a solid investment plan will probably fail. While a few speakers Tuesday said the council action didn’t go far enough to help historically disenfranchised groups, most applauded it as good first step that can be built upon. Seku-Amen added the issue is about healing families whose lives were destroyed by disproportionate marijuana jail sentences and institutional racism, while also strengthening the city’s tax base. He’s hopeful the city staff and council members will later revisit the issue to further define and strengthen the CORE program. “The elements now in place give you the power to carve a pathway for industry scholarships, business incubation and parity in licensing,” he said. Attorney Brenda Davis, who works with California Urban Partnership, said seven areas of the city have been identified as priority locations for the CORE program: Del Paso Heights, Oak Park, Meadowview, Valley Hi, North Highlands, Arden-Arcade and the Fruitridge/Stockton area. “We’re talking about neighborhoods negatively and disproportionately affected by arrests for activities that were once criminalized and are now touted for their potential to generate billions of dollars for those that have nothing to do with these neighborhoods other than a warehouse,” Davis said. Councilmember Rick Jennings recused himself from the vote, citing possible personal conflicts of interest. Jennings’ wife, Cassandra Jennings, is CEO of the Greater Sacramento Urban League, one of the groups supporting the equity measures. State voters in November last year approved Proposition 64, which legalized recreational use of cannabis for adults. 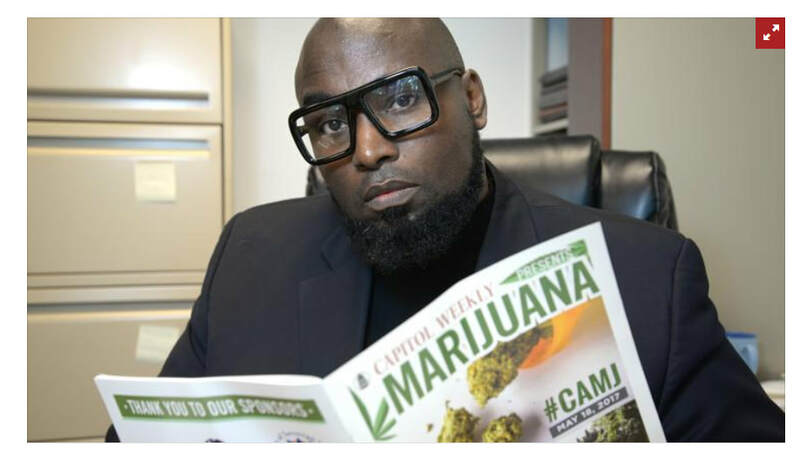 Tuesday night’s discussion evolved out of months of talks between the city and black leaders like Seku-Amen who expressed concerns that blacks, Hispanics and other groups weren’t given ample say in Sacramento commercial marijuana permits policies. Questions remain about whether, in the wake of legalization, blacks and others will be locked out of the market by wealthy investors. Some worry that the high cost of city fees and real estate to obtain permits to grow cannabis legally will create a black market, resulting in further law enforcement pressure on disenfranchised groups. Also on Tuesday, the council agreed to allow the city’s existing 30 storefront cannabis dispensaries to submit applications to modify their conditional use and business operating permits to sell recreational cannabis. Although those businesses can now begin applying for amended local permits, they must also have a state license in order to sell recreational cannabis. Joe Devlin, Sacramento’s chief of cannabis policy and enforcement, said it’s “extremely likely” not all of those 30 dispensaries will qualify to sell recreational cannabis under the city’s latest criteria. His comments came in the wake of a city audit that found some dispensaries may have been underreporting gross receipts, and recommended that the city strengthen its monitoring of dispensaries. The state will begin accepting applications to sell recreational cannabis next month, and is expected to begin issuing temporary licenses Jan. 1. Other cannabis-related items unanimously approved by the council Tuesday included: 1). A rule change allowing cannabis manufacturers to use ethanol in the extraction process make their goods, with fire marshal approval 2). An item amending the city’s dispensary ordinance to allow permits for recreational cannabis deliveries and 3) A tiered system of lower permit fees geared toward small cannabis manufacturing businesses, based on annual gross receipts. City officials estimate the addition of new permits will create additional revenue sources will generate $16.1 million over three years. That money is expected to cover administrative and regulatory costs.